We're pleased to share the Grand Jury Prize for Animated Short from the 2012 Atlanta Film Festival! A snow golem is attacked in the forest by his species' mortal enemy, a pack of fire wolves, who accidentally leave a cub behind after their retreat. The golem's solitary life is then thrown comically into chaos as he attempts to care for the cub while fighting danger to reunite the cub with its family. 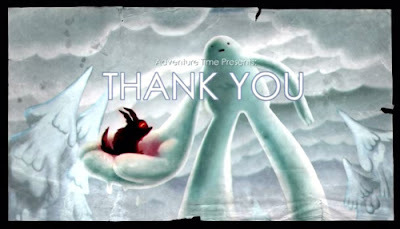 The story of “Thank You” is by Pendleton Ward, the creator of Cartoon Network's hit animated show, “Adventure Time” and storyboard artist, Tom Herpich. Twenty-five features representing seven countries competed for the Narrative, Documentary and Pink Peach Grand Prizes. Known for its shorts programming, over 80 shorts and music videos competed for ATLFF’s Narrative, Documentary, Animated, Pink Peach and Music Video Grand Prizes. Academy Award® qualifying categories, the Narrative and Animated Short winners are now eligible to submit their films for consideration for the 2013 Academy Awards®.